Burger King strives to become the top player in the quick service/fast food restaurant industry. To do so, the company must strategically address the main issues highlighted in this PESTEL/PESTLE analysis. The PESTEL/PESTLE analysis framework identifies the most significant factors in the firm’s remote or macro-environment. In Burger King’s case, these external factors include the influences of governmental and nongovernmental organizations, as well as trends or changes in technologies, among others. Effectiveness in addressing these issues raised in the PESTEL/PESTLE analysis helps optimize Burger King’s global business performance in the long-term. Burger King’s long-term performance partly depends on the company’s success in strategically addressing the issues identified in this PESTEL/PESTLE analysis. The external factors in the remote or macro-environment of the fast-food restaurant industry are significant influences on Burger King’s global business. Governments continually support globalization. Burger King can take advantage of this condition through global expansion. Also, the external factor of political stability helps reduce challenges to the company’s growth and expansion. In addition, Burger King can improve its e-commerce capabilities. In this part of the PESTEL/PESTLE analysis, the external factors present significant opportunities for Burger King to grow and expand internationally. As countries implement more and expanded international trade agreements, Burger King can grow through global supply chain enhancements. Also, U.S. economic stability enables the company to gradually grow in the country. In relation, Burger King has the opportunity to rapidly expand in developing economies. These conditions show that, in the political dimension of the PESTEL/PESTLE analysis model, Burger King must focus on external factors that present opportunities for growth and expansion, especially in developing economies. The increasing population diversity presents the opportunity for Burger King to innovate its products to attract consumers of various backgrounds. Higher health consciousness threatens demand for Burger King’s products, which are sometimes criticized as unhealthful. However, the company has the opportunity to improve the healthfulness of its products. Animal rights advocacy continues to attract attention, threatening the main products of Burger King. Still, the firm can implement new supply chain policies to address concerns on animal rights and welfare. This part of the PESTEL/PESTLE analysis points to Burger King’s opportunities to improve despite the threats linked to sociocultural external factors. More automation technologies are now available for businesses. Burger King can apply these technologies to improve operational efficiency. Also, the company can tap mobile users to gain a bigger market share. Relative to the low R&D activity in the fast food restaurant industry, Burger King has the opportunity to boost its R&D investments to improve performance. In this part of the PESTEL/PESTLE analysis, Burger King has major opportunities for performance improvements based on technological external factors. Climate change threatens to reduce the stability of Burger King’s supply chain. However, the company has the opportunity to improve its sustainability status. Also, Burger King has the opportunity to improve efficiency to attract consumers who advocate low-carbon lifestyles. The ecological external factors in this dimension of the PESTEL/PESTLE analysis indicate that Burger King can realistically work on sustainability and efficiency. Burger King has the opportunity to grow based on import and export regulations that support new international trade agreements. Also, the company can enhance its sustainability performance to exceed expectations and requirements based on environmental protection laws. However, GMO regulations, especially in Europe, limit the performance of Burger King, considering the widespread availability of GMO ingredients used in the industry. This dimension of the PESTEL/PESTLE analysis emphasizes growth and sustainability based on legal external factors. Burger King Corporation (2015). About Us. 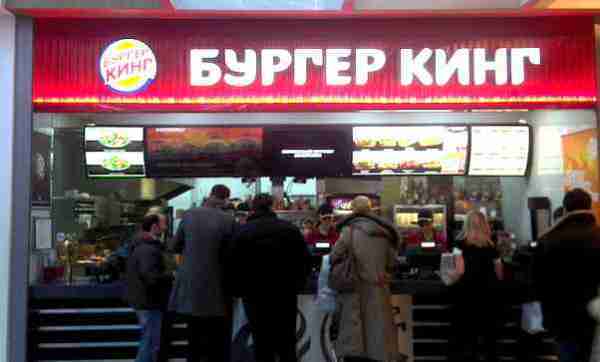 Burger King Corporation (2015). Diversity. United States Department of Agriculture Economic Research Service (2015). Food Service Industry Market Segments.